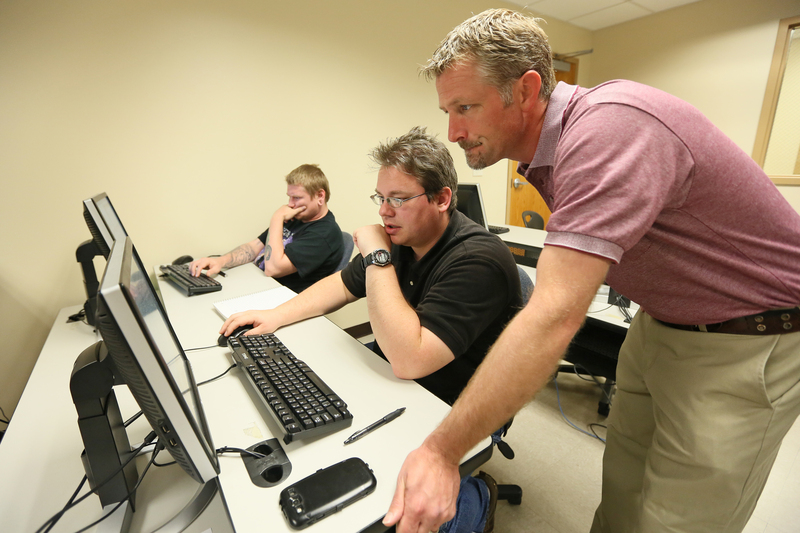 The Lieutenant Patrick Weatherford Criminal Justice program at ASU-Newport provides coursework and credentials for students desiring to advance careers in Law Enforcement, Correctional Systems, and Private Security. The program was named in the Fall of 2017 in honor of Lieutenant Patrick Weatherford. Lieutenant Weatherford was a 15-year veteran of the Newport Police Department and a distinguished alumni of ASU-Newport who was killed in the line of duty in June of 2017. As exemplified by the legacy of Lieutenant Weatherford, the Criminal Justice Program seeks to provide the highest quality and standard for our students. Currently, the program culminates in an Associate of Science degree in Criminal Justice. The courses in the program are delivered both online and in the traditional classroom to fully meet the needs of today's diverse student population. Students who complete a degree in Criminal Justice have the ability to be employed in law enforcement and many related fields. Additionally, the Associate of Science in Criminal Justice is fully transferable to several 4-year Bachelor degree programs in the state through 2+2 articulation agreements. This allows our students to complete their first two years at ASUN and seamlessly transfer to a program with one of our many college and university partners. Have you found your starting point? Apply to ASU-Newport today.